Bhutan T.U.S.K Motorcycle Tours is the country’s only tour company that has been established with the sole purpose of exclusively promoting motorcycle tours. “I have toured by motorcycle through many countries in Asia and my Bhutan ride -- guided by Khandhu --ranks right near the top. We rode his classic Royal Enfield bikes on a multi-day tour that encompassed the stunning 4,000 metre Chele La pass, challenging off-pavement tests, and cultural visits to dzongs and Buddhist monasteries. Unlike neighbouring countries that are rapidly losing their cultures to globalizationb. 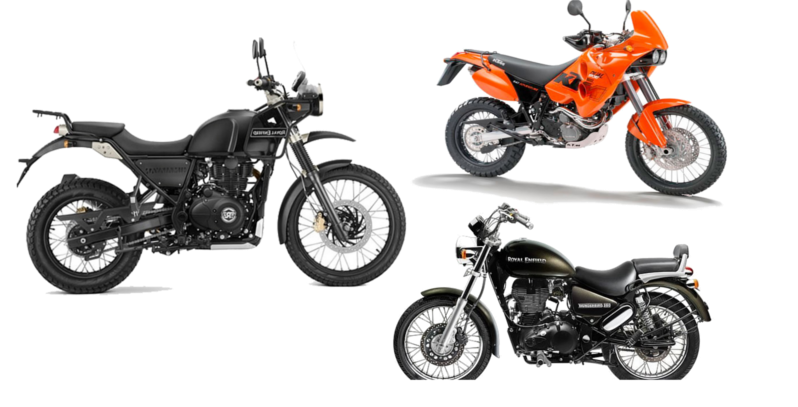 The motorcycles on offer will be the legendary Royal Enfield and KTM motorcycles. Both the Enfield and KTM have a longstanding and proven track record for durability and efficiency on the mountainous and rugged roads of the great Himalayas. All tours will be accompanied by highly trained mechanics and experienced tour guides. A back-up vehicle will always be provided. Our motorcycles are serviced before every tour and after tour, always tip top with good tyres and brakes waiting at your hotel the night before you ride! We ride some of the best roads and dirt bike trails in Asia and our experience allows us to select routes that will suit all levels of rider experience and ability. We understand how important it is to have a successful holiday and your tour will be professionally managed even from your first inquiry!